an incongruous combination of materials, forms, motifs, etc., taken from different sources; hodgepodge. Let’s start this discussion with the first definition. A perfect example of a literary pastiche is Hail Pelicus itself. We here pull from many different sources – literally with the inclusion of the referee match reports – and artistically as I combine the works of some of the greatest word-slingers of the English language for these opening remarks and subsequent sections. Last year the introduction of one edition consisted of a string of allusions and references to 17 different Shakespeare plays… which were then listed at the end. This year I played on the legend of Archimedes discovering the principle of water displacement linking it to the eponymous city name up near the Humboldt St campus. Implicit and explicit references to Monty Python and Terry Pratchett are almost too numerous to mention. I really only write about 10% of this with the rest being borrowed and shaped to fit the chosen theme of the week. With 700 years of inspiration to choose from I don’t see the HP Literary Allusion Express slowing down. 700, is of course, the hard limit as I don’t consider anything before Chaucer to be literature – or even English. On to the second definition. This concept has been enthusiastically grasped by USA Rugby and the member clubs as trying to determine a national champion has become something of a joke. Cal lost to BYU in the Varsity Cup final so that makes BYU the national champion. St Mary’s beat Life in the USA Rugby D1-A final so that makes them the national champion. Arguments for the Varsity Cup (these are the 2 best teams in the country so it should count) and against (it is an invitational tournament that is restricted to only 14 clubs) are countered by arguments for USA Rugby (this is a true national tournament that all clubs can play their way into) and against (the champion lost to both Varsity Cup finalists and should be considered, at best, the 3rd best team). Of course, these arguments work for 2015 but what about 2014 when the same teams finished in the same order yet St Mary’s also beat both Cal and BYU? All we know so far is that these 4 teams are the 4 best teams in the American collegiate universe but they don’t play each other for any kind of championship. This then gets exasperated when the CRC rolls around and competes with the USA Rugby 7s championship. The CRC is a fantastic event, a made for TV rugby showcase, but calling it a national championship is disingenuous at best. There is only one slot for a team to play its way in and the other 15 places are mostly determined by the size of the football program/alumni base (to bring in advertising money) and relative distance to Philadelphia (to encourage fans to fill the stadium). There are only three pure rugby choices: Life, Kutztown and Dartmouth. So, a great tournament that I will surely watch, but not a national championship. 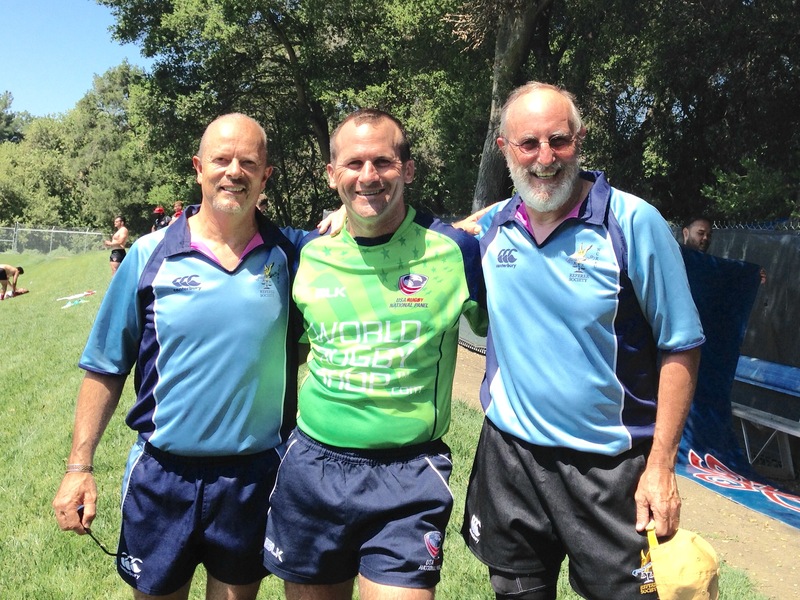 So what does USA Rugby offer? Not much, really. Many of the top teams don’t even bother to enter the tournament and some that win a spot decline to go because they would rather go to the CRC. Hardly a ringing endorsement, that. This doesn’t just exist at the collegiate level. With the inevitable dissolution of the Super League (which originally existed outside of USA Rugby and then, like the prodigal son, was welcomed in as the Most Favored League, even though entry was mostly based on ability to travel rather than ability to play rugby) most of the member clubs split into their own competitions, the PRP and the ARP. This, my friends is a pastiche, an incongruous combination of materials, forms, motifs, etc., taken from different sources; hodgepodge. I still hold out hope that one day everyone will get together and sort it all out, but probably not anytime soon. Once again the flock will be coordinating our banquet around the USA National team schedule as the United States Eagles take on Samoa and the Canadian Mooselovers take on Japan in San Jose. The Pelican Elders will be holding our Annual Awards Banquet in San Jose on Friday, July 17 at the Sonoma Chicken Coop on Skyport Drive – right by Avaya Stadium where the internationals will be held. Please RSVP via email to Jim Crenshaw at crenshaw@cal.net with how many guests you are bringing. There isn’t one. I’ll bet anyone who showed up on Wednesday at Treasure Island expecting one feels a bit silly right about now. Law 6.A.4 (a) The referee is the sole judge of fact and of Law during a match. Apparently we really don’t need to study the laws all the time like we have done in the past. According to this law, whatever we decide is true no matter what so having these meetings to go over the legalities and dynamics of rucks, tackles, lineouts, ect seemed rather pointless. It was quite liberating, really. Kind of like going commando at work; refreshing and revealing. I don’t see us having any more meetings this year. A fine local derby on schedule. North v South in the battle of the Ocean State. Only 33 miles separates the only 2 men’s clubs in the state and the rivalry shows. This was a friendly, scheduled one week after the NERFU Cup Tournament. No trophies or league points to win, just pride. This was a battle of a match. Both teams took the ball up the middle, rucked hard and tackled well. The penalty count was pretty low considering the situation. Scrummaging was nearly equal and both seemed to be about the same skill level. Newport had stronger backs that broke more tackles and set up tries. Probably had a touch more fitness as well. The Budd Bay Bandits came down from Olympia, WA for this battle against the Sacramento Amazons for the Women’s Div 2 Playoffs. The Bandits opened up the scoring with their speedy winger kicking the ball down the field to touch it down. The Amazons responded with a try off of a lineout with their strong center bursting through the back line. Each team got another try before the half, but the Amazons were up 14-10 after making both their conversions. The second half was dominated by the Amazons. They had good support at all their breakdowns and established a strong passing and kicking game. They scored 3 tries before Budd Bay could retaliate. The final score was 45-17 in favor of Sacramento. Great playing by both teams! Colusa met Salem from Oregon in the ACR1 D3 Final, in the opening match of the day’s quadruple header at Cal Maritime. Colusa crossed in the tenth minute from a penalty close in, and the remaining thirty minutes were eventful, highly contested, but ultimately scoreless. 5-0 Colusa at the half. Colusa’s wing scored in the first minute after the break, with scorching pace up the touchline after fast ball through the hands. 12-0 Colusa. Salem pulled the gap back to 5 points with a converted try in the 53rd minute, despite being down a player for repeated team infringements. Colusa came roaring back, and after a late hit on their kicker as he chipped the Salem defense, quickly took the resulting penalty, and hammered forward with a series of pick and go phases close to the Salem line, finally crossing for the score in the 57th minute to restore a 12 point lead 19-7. The large and vocal Colusa support in the stands made radio comms with the ARs challenging at times, but the visitors from Oregon were not intimidated. Salem crossed in the 59th minute and again in the 63rd to tie the game up at 19-19. Game on. At this point I was glad I had checked on the extra time protocols during the week. Colusa got back in front with ten minutes remaining, but it was still only a five point game with minutes left, with both sides chasing the win. An exciting match was settled by a final score from Colusa to make it 29-19. Thanks to both teams for a great game of rugby, congratulations to both teams on great seasons, and all the best to Colusa in the next stage of the competition. Many thanks to Cary and Bryant for all of their help from the touchline. Fun little scrimmage between the two sides. Three full sevens scrimmages were played between the teams to get some extra practice in for the season. This entry was posted in News on May 14, 2015 by James Hinkin.